I love the SimCity series. I played the first one for countless hours growing up, and my younger years were filled with endless play sessions of SimCity 2000 and 3000. I wanted to like the latest SimCity. The visual style looks great, and it seemed like a good idea to streamline some of the games more radical detail. 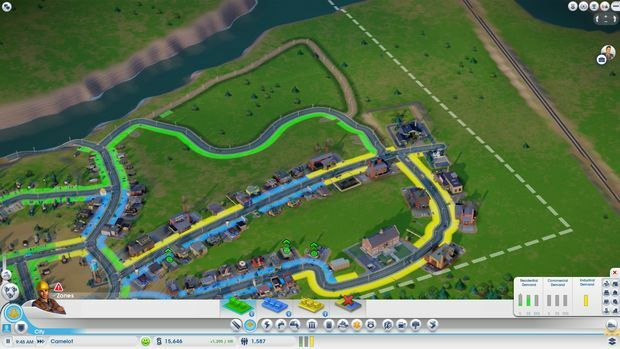 Sadly, SimCity has some weird design decisions, and the worst problem with it is the fact that you always have to be online to play. This might be overlooked as a minor annoyance, but the servers aren't up to the task of handling the player load. I've had a hard time getting online to play, and it's made judging it as a game difficult. We tossed it out there to you to see what you wanted us to do, and you responded loud and clear that the game deserved to be reviewed in its current state. 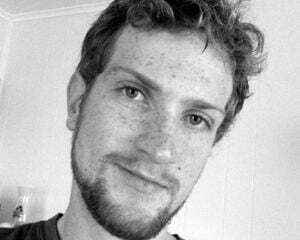 You are why we review games, and you are the ones that care about our opinions. 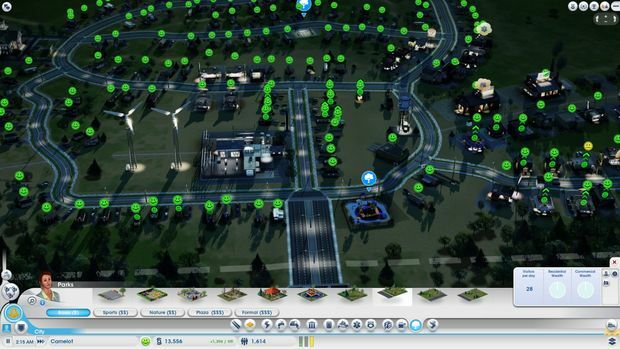 Things might get better in the future for SimCity, but right now it's bad and unplayable at times. This review is based in part on time spent before release when I was able to connect, but mostly my opinions are formed on the actual retail version of the game. I really wanted to love this game, and my initial impressions were positive. I liked the way the screen looked, how detailed the city is, and how easy it is to access information. The graphics are modern and use hip things like tilt-shift and custom filters that make everything look like a photo from Instagram. The old full-screen graphs and charts have been replaced by easy to read overlays that match what you are currently doing. If you click on, for example, the police icon not only can you build new police stations, you can also see where your current stations are, how many crimes are committed in a day, and how many of those criminals you catch. 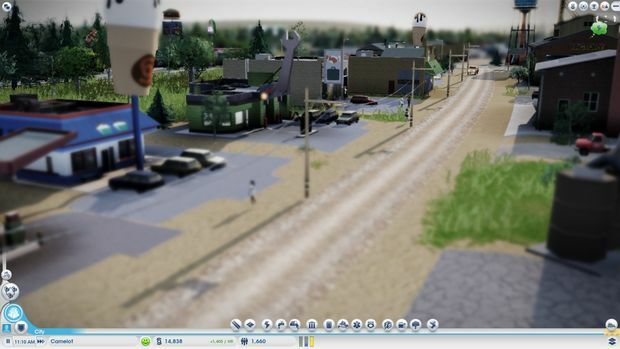 Another good example is the road icon, which allows you to build or upgrade roads while letting you see what's currently going on with traffic. If you do feel the need to access more information, you can pick from around 20 different overlays that show stats ranging from hospital coverage, tourism income, property value, population density, to the location of natural resources like ore and oil. The biggest feature that has been talked about endlessly since SimCity was announced is the new road system, and yes the roads are cool. Power lines, sewage pipes, and water pipes have all been tied into roads, so now all you have to do is connect everything to a road and it works. It might seem like they are taking away control from the player, but I can't think of any reason why I would need to build a city and not give it all of these necessary things to function anyway. It makes building the city faster and easier, and I never felt like I was missing anything by not placing something like power lines manually. The roads can also be curved now, which is nice but it's not very efficient. The downside to the new road system is that zoning density is tied into what type of road you use. If you use little dirt roads, the building density is low. If you upgrade to a high-traffic avenue then you can expect skyscrapers and apartment buildings to grow near it. I found this to be annoying because if I had a traffic issue in an area that I wanted to be at a lower density, I was screwed. I had to choose between living with the traffic jams, or watching my suburban development turn into massive complexes. This is one instance where I wish I had more options and it's not game breaking, but it is annoying. My personal favorite feature is the way that everything has a sense of place and people actually exist. They really go to their jobs, they have to travel to school in order to become educated, and firetrucks need to drive to fires to put them out. You can watch as policemen chase down robbers, and if your city's traffic is a problem you can also watch as the robbers escape. SimCity has evolved past just graphs and numbers representing what's going on in your city, and it makes this really feel like a "next-gen" iteration of the series. Your hospital isn't just balancing out some impersonal number, it's treating sick people that you can see. Everything feels alive and connected, and it's fun to watch things happen. Individual buildings can be updated with small adjustments to make them more useful, which is a great way to make things better without only adding more buildings to your city. If crime is a problem you can add more police cars to the station, or add a prison expansion to increase the criminals you can detain. Schools can be expanded with new classrooms, casinos can add rooms to house more tourists, and public transportation can be upgraded by adding new buses to help reduce the wait. The game at its core is really good, almost great, but it's held back by some odd things that I still fail to understand. For starters, the map size is really small. I was able to fill it up after playing for only a few hours, and after that the only way to keep playing is to either start another city or increase the density until everything is a block of towers with traffic problems. I'm used to older SimCity games allowing me to create massive cityscapes, and this feels like a tiny fishbowl of a city. Server problems aside, this is the biggest problem with the game. After a few hours I was stuck and had nowhere to expand to. The reason behind the small map size could be technical, since I can understand if the way every citizen's life is actually simulated is very taxing on the system, but it could also be contributed to the fact that they want you to build up the region as well as the city. The second one seems more likely to me since everything else in the game tries to make you painfully aware of other cities and players. A region is where your actual game is happening, and it can hold between three to fifteen cities, either controlled by you in a private session, with friends, or open to the public. Regions grow over time with buildings added to cities, such as headquarters for industry or education offices for the town hall. This unlocks better options for the city, and for the entire region. It's impossible to afford all of these buildings in one city, and they would probably take up half the map with their physical size. You have to play with more than one city, and that's rather annoying since only your active city is growing and fully functioning. It can take a long time to build up a few cities, and I would much rather create one mega-city than a handful of tiny cities anyway. Having to play in a region could be interesting, but it comes across as a cheap way to encourage multiplayer, or "enhanced online single-player," whatever that means. The concept is intriguing, but it doesn't really deliver in a strong enough way for me to be willing to sacrifice single-player or the ability to have one mega-city. In the open region I tried it soon became ruined by pollution and crime due to what other players were doing. One bad city can ruin everyone else's cities with its spread across the region, so I can't imagine ever looking to play with strangers online. I can only see myself playing with other people I know have a clear goal, how to play, and that we all can focus on cities that compliment each other. Good stuff can spread across the region, too. One city can volunteer fire trucks or police to other cities to help out, and it's even possible to create a giant trash town that is filled with giant dumps for everyone. It's an interesting idea, but it's somewhat flawed in the delivery. Since everything is happening on servers, and there are problems online you might lose trash coverage. I tried to see how well things worked across cities by trying to run two cities at once, and I found that it wasn't a reliable way to play the game. Things seemed to break. Workers failed to show up at their jobs in the city next door, water flow stopped at times, police didn't show up, and my city's education went downhill as they stopped getting on the bus to travel across the region. This could all be due to the server issues, or the game could actually be broken in this regard. Either way it's flawed. I felt like I should have been playing with other people, and it's difficult to play with one city alone. A single city is tiny and it can't do a lot. Eventually you run out of space and you can't upgrade any more without depending on resources coming from another city. Things like achievements, leader boards, and friend's lists are pushed to the foreground to try and convince me to play online. 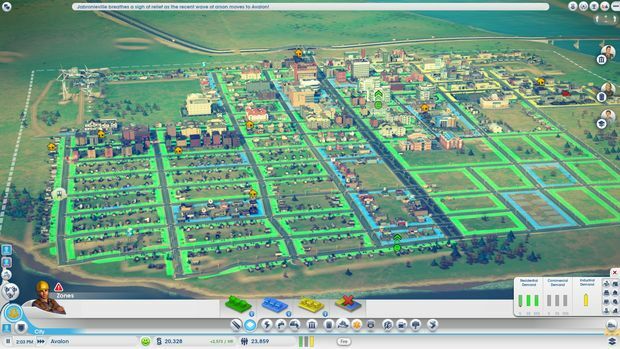 It seems like more of an issue to play alone than with others, and SimCity doesn't really need that. It could be cool, sure, but don't force it on me. I haven't come across anyone that wants this from the series, and the fact that the online portion of the game is broken makes it a complete nightmare. So many things felt out of my control and dependent on EA's servers, which is something that I could forgive if it actually worked the way it was supposed to. Sadly, it doesn't work very well at all. Over the past few days since launch, I've spent a good chunk of time trying to connect online. If I did manage to connect, the game would have issues interacting with the other cities in my region and sometimes I would lose entire cities due to things failing to be saved correctly. There isn't anything being saved locally on your computer, and their servers aren't up to the task of maintaining the load. I shouldn't have to deal with this to play in my own city alone. 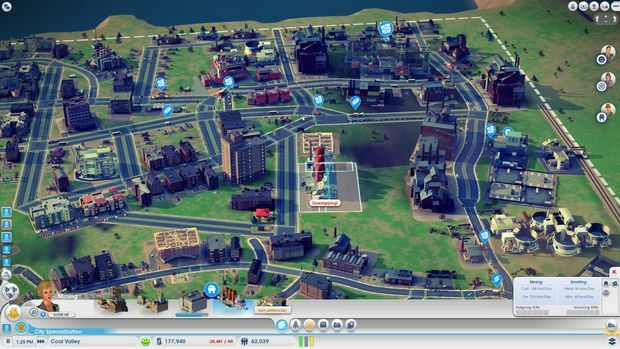 People are connecting the server issues to the similar bumpy ride that Diablo III experienced, but SimCity is definitely experiencing a much more terrible launch. If players waited for four hours they could connect to Diablo III, which is awful but at least you could play eventually. SimCity doesn't always have a login queue, so all you can do is exit and try relaunching the game again hoping that it will work. Even if you do manage to get online there is a good chance things will go wrong, and you might even lose your entire city due to a server crash. It's the worst launch I have ever experienced. Diablo III might have had a rough launch, but people had faith that Blizzard would be able to fix the server issues. I don't have that same faith in EA. Their current fix is disabling game features like achievements, leaderboards, and even removing the fastest game speed to try and alleviate the load on the servers. They are taking things away from us in order to fix their problem, and that's really unfortunate. I want to like this game, but there are a lot of things wrong with it. Maybe they'll fix the servers, and maybe people won't run into issues down the line. Maybe they'll make the maps bigger, and maybe they'll figure out a way to back up some key data onto your machine instead of on a broken server in space. The possibility is out there for this to be a really good game, but it's based on a lot of maybes. It's too many game breaking issues and too many problems. The constant DRM is an annoyance, but the real issue here is the fact that everything is happening online. 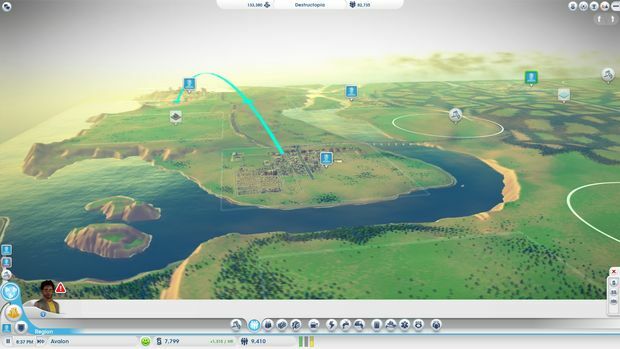 SimCity has always been a single-player game, and now it's a fully online experience. Nothing is saved locally and when I lose my save game due to online issues it makes me cranky. I was desperately trying to get time in playing this week, not just because I am reviewing it, but also because it seemed like fun. I love games like this. All the time I spent playing on Tuesday was erased because of server issues. After trying to connect for hours this morning, I was shocked to find that my most recent saves were gone, and over six hours of playtime was wiped away. There is some promise for this to be a good game, but promise alone isn't enough. Even if they do manage to get their servers back online and functioning, I still know that if something goes wrong on their end I will lose all of my saved games. 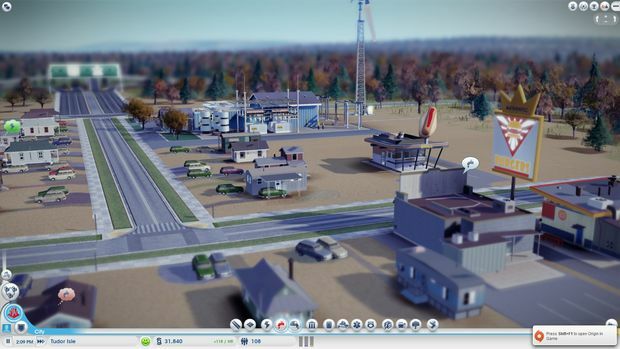 My cities are at the mercy of EA's servers and my Internet connection, and while there are some nice things to be found in SimCity, the need to always be online and feeling forced to play with other people ruins the experience. I wanted to like this game, I really did. At first I started to enjoy it, but soon all I found was frustration. I can't recommend this game to anyone, and I don't want to play it anymore myself because I am afraid of seeing all my efforts lost due to server issues. It's a decent game if it worked right, but the online dependency, forced multiplayer, and DRM ruin it.